It’s the thick of zucchini season and that big bag of zucchini you bought isn’t going anywhere. That is, unless you think up a non-boring way to eat it. 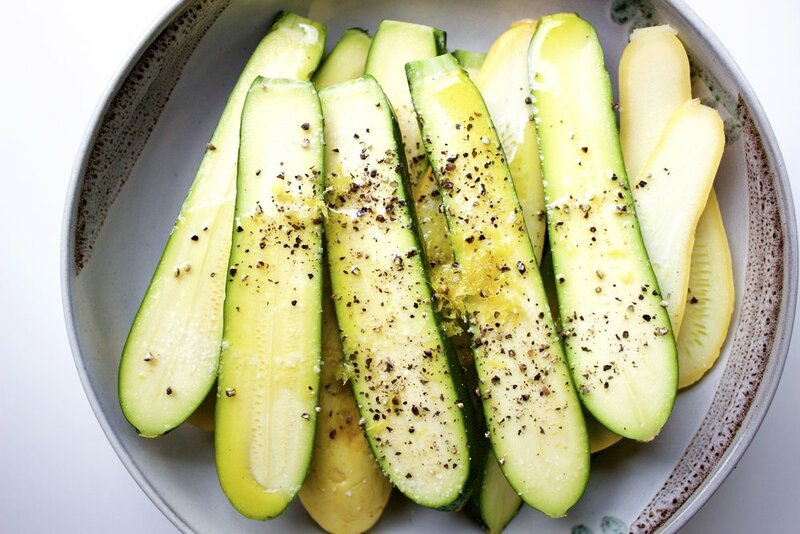 This third trimester of summer usually brings feelings of zucchini burn out as you have been chowing down on summer squashes all season. Well, I am here to hopefully save the day and that bag of beautiful squash in your fridge with this delicious recipe that I would say is anything but boring. 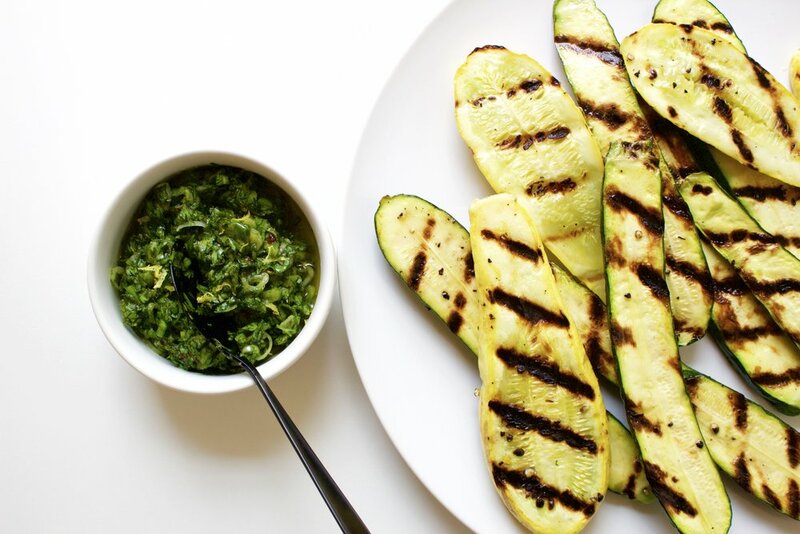 Summer squash gets the marinade treatment. Veggies are just as great with a marinade as meat is, so why do we usually skip it? Even just a 20-30 minute sit in some flavorful ingredients like lemon zest makes a huge difference in flavor when the squash hits your plate. Sauce! Same as above here as in veggies (or anything really) are always awesome with an accompanying sauce, just like meats. Yes, we generally have the protein as the center of the show, but that doesn’t mean the sides should be any less delicious because we can’t spend a few minutes to give them the sauce they deserve to shine. 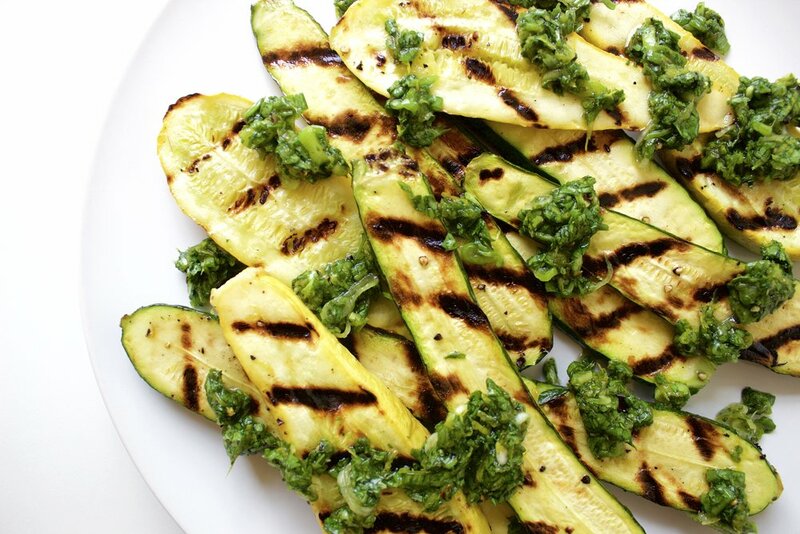 This dish takes summer squash and/or zucchini and infuses bright zesty lemon flavor before they get all tender and deliciously char grilled. Then, a super punchy, herb sauce finishes them off, bringing these veggies to the center of the plate as the MDP (most delicious part) of your meal. Really, I can pretty much guarantee they will be the best thing on your plate. Move over rubbery, burnt crust, dry-as-jerky grilled chicken! What about the nutrition here? Well squash, like all veggies, is a good source of filling and gut health supporting fiber, as well as vitamins and minerals like vitamin C and potassium. The sauce is chock full of antioxidants from the herbs and great-for-you unsaturated fats from the olive oil. Plus, this squash tastes so good, you likely won’t have any problem getting all your veggies in! Enjoy! Slice squash lengthwise into planks about ½” (1.75 cm) thick. Toss with the olive oil, lemon zest, salt and pepper. Let sit 30 minutes if you can to let the squash soak up the flavors. 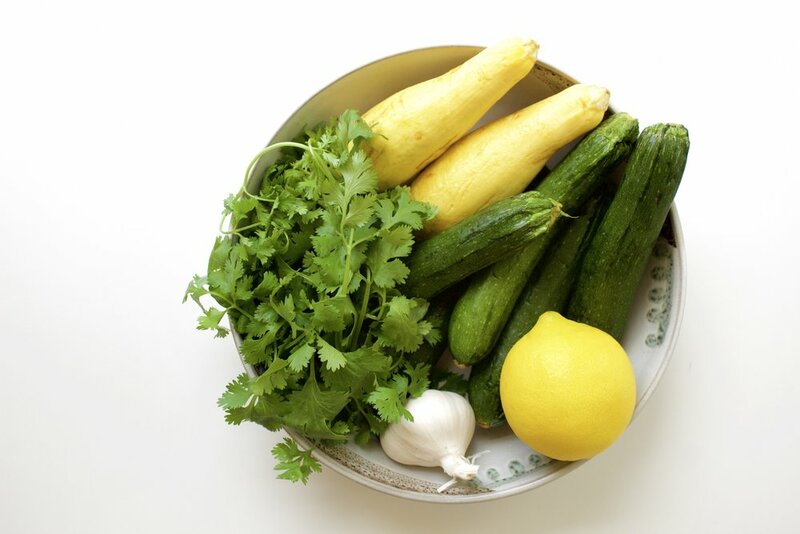 While the squash is marinating, make the gremolata by combining all ingredients until mixed well. Heat a grill or grill pan until very hot. 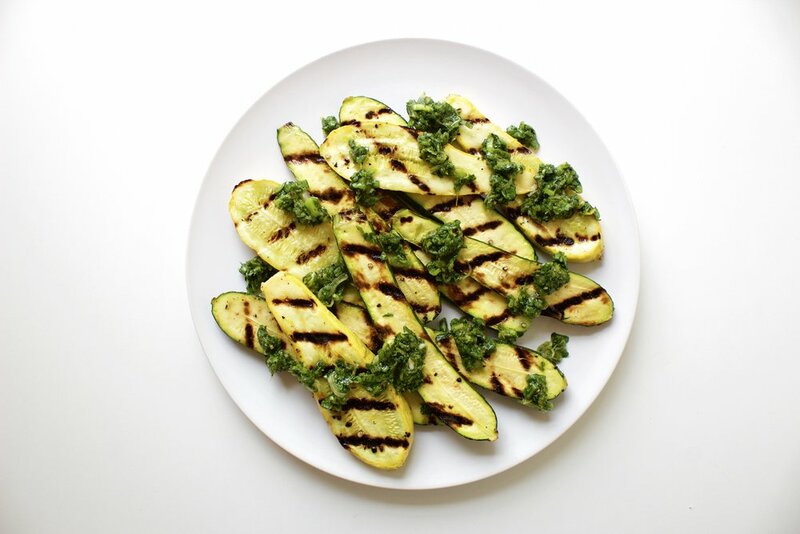 Grill squash on both sides until well marked and tender. 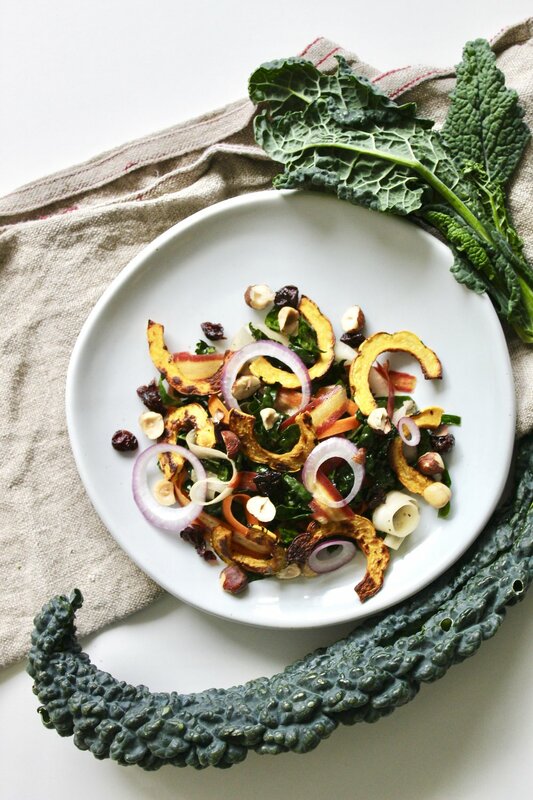 Serve the squash with little dollops of the gremolata on top! If you have extras of anything, keep them stored separate in the fridge for up to about 5 days. Notes: You can use large or small summer squash, but I will say I prefer small not only because they look cute/awesome, but also because their higher skin to flesh ratio means the squash keeps it’s structural integrity together better vs. a large squash plank. Yes, you should use extra virgin olive oil, it will taste better. If you think cilantro tastes like soap, you can totally swap it out for parsley or basil or a combo of the two. This recipe will probably make a bit more gremolata than you need to serve the squash, but that is truly a great thing because it tastes amazing on anything from meats to fish to quinoa. I don’t know what would happen if you marinated the squash for longer, but I doubt it would hurt!